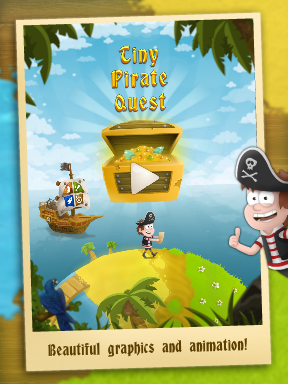 Tiny Pirate Quest - a game for training and development of visual memory for children and parents. 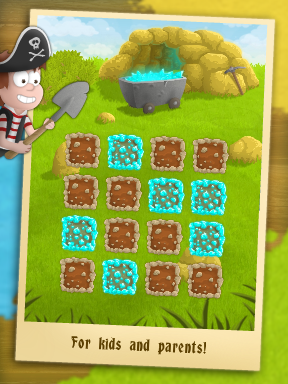 Description of Gameplay: The application contains some mini-games, in which the tiny gamers have to look for the treasure. Travel to different islands, collect coins and crystals. Beautiful graphics and animations, interesting mini-games, GameCenter leaderboards of the best treasure hunters. 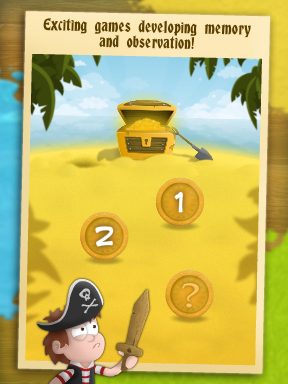 Help pirate to collect all treasures!